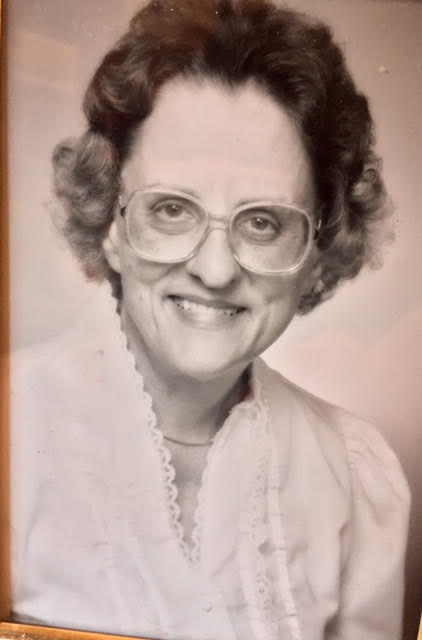 Word has been received of the death of Dr. Bonnidell Amelia Clouse, widow of former Grace Brethren pastor, professor, and BMH Books author, Dr. Robert Clouse. Her obituary appears below. Bonnidell Amelia Clouse Ph.D., 90, of Terre Haute, Ind., died Aug. 21, 2018, at Cobblestone Crossings Healthcare. Bonnidell was born July 5, 1928, in San Jose, Costa Rica, to Ranselaer Barrows and Lela Freeland Barrows. She spent her early years in Costa Rica, her parents were missionaries there returning to the United States when she was five. She had difficulty in Kindergarten after returning to the U.S. due to the fact that she had only spoken Spanish in Costa Rica, but eventually she became the top student in the class, maintaining that position throughout the rest of her educational life. She was a very committed Christian belonging to First Brethren Church of Clay City, Ind., and attended First Baptist Church in Terre Haute. She earned her B.A. in psychology from Wheaton College, her M.A. in psychology from Beston College. She was the first woman to receive a Ph.D. in educational psychology from Indiana University. She was a Professor of Education at Indiana State University. She met her husband, Dr. Robert Clouse Ph.D., who was a student of hers while teaching at Bryan College. She was preceded in death by one brother, Irvin Barrows; and her husband, Dr. Robert Clouse, who passed away May 7, 2016. She is survived by two sons, Gary Clouse and his wife Shuko of Los Angeles and Ken Clouse and his wife Rose of New Orleans; one brother, Thornton Barrows and his wife Erica of Oregon; grandchildren, Sarah Clouse, Alexander Clouse, Gabrielle Clouse and Andrew Clouse; as well as nieces and nephews. Graveside services were held Aug. 24, 2018, in Mount Pleasant Cemetery, 3455 S. Fagin St., Terre Haute, Ind.